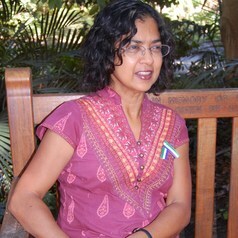 Krishna Sen is an internationally recognized scholar of contemporary Indonesia and media studies. She is fluent in several South and Southeast Asian languages. Prior to her appointment as Dean, she was the Executive Director for Humanities and Creative Arts at the Australian Research Council (ARC) in Canberra. She has been a member of the ARC’s Asia Pacific Futures network and the Cultural Research network, a longstanding assessor for the ARC and a member of the ARC College of Experts. She has written extensively on Indonesia, including Indonesian Cinema: Framing the New Order (Zed, London, 1994); Media, Culture and Politics in Indonesia (with David Hill, OUP Australia, 2000) and The Internet in Indonesia's New Democracy (with David Hill, Routledge, London, NY, 2005). She is also editor of several monographs including the highly cited Gender and Power in Affluent Asia (co-edited with Maila Stivens, Routledge 1998) and is a member of editorial boards of several international refereed journals.